When we see an opportunity to make a difference, we take it. This means making an impact on our communities and supporting them in ways that can help them flourish, develop, and prosper. It's all part of living up to our purpose while helping others live up to their potential. Employees can contribute to the causes they care about most through giving their time and dollars. Each employee receives eight hours of paid time off each year to volunteer for the charity or organization of his or her choice. That's a total of over 48,000 employee hours to give back to communities. We also support employee giving through our Corporate Matching Gifts program, which has a multiplier effect in making a difference in the lives of others. Extending our reach from the financial world to the real world, employees can choose to participate in one of our four core corporate giving programs. It's another opportunity to help people in need and bring about positive change. In times of need, our employees respond with generosity and compassion—whether it's support after natural disasters, donating lifesaving blood, or doing outreach to our military members and veterans. All employee donations to the American Red Cross are matched dollar-for-dollar through our Corporate Matching Gifts program. In 2008, TD Ameritrade began working with Habitat for Humanity by helping build one home in Omaha, Nebraska. As our office locations and employees grow, so does our relationship with Habitat. Currently, we've helped build more than 60 homes across our 10 locations. That means, more than 60 families have now fulfilled their dreams of homeownership. 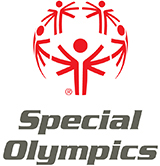 If you've seen the commitment and pride of Special Olympics athletes, then you know there is more to Special Olympics than sporting events. It's about respect and acceptance. It's about the human spirit. It's about taking winning to a whole new level. Each year, our employees give their time and energy in support of Special Olympics events like Polar Plunges, State Summer Games, and many others. In 2018, employees spent over 1,200 hours volunteering with 26 different organizations that fall under the United Way umbrella in order to strengthen our communities. Learn about all we do to make the markets more approachable, understandable, and accessible.